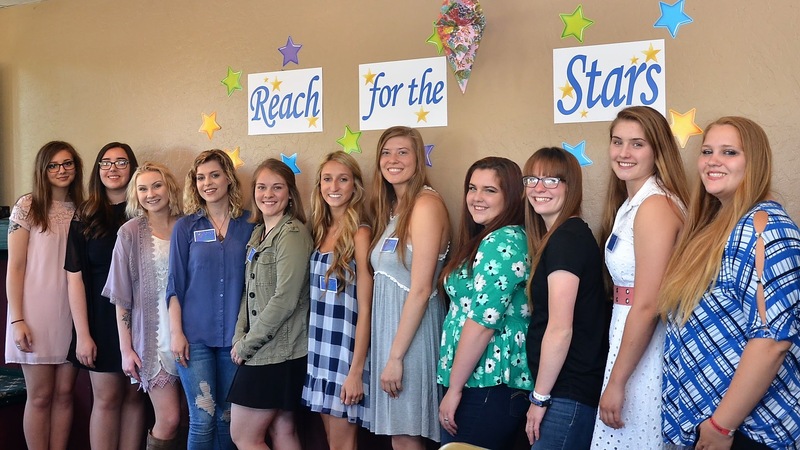 For over 40 years, the AAUW of Sonora has selected several outstanding young women to receive their annual Scholarships. 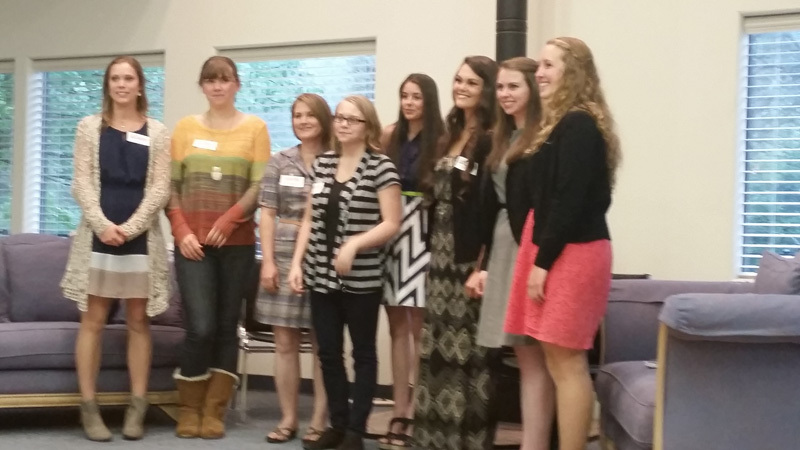 The funds for these Scholarships come from the ongoing dedicated work of our local AAUW Members who put on an Annual Home Tour and Tea on the first Saturday of December each year. Tickets are sold by the members to allow interested persons to view four local beautiful homes. Additionally they may visit the Tea and Cookie reception and are given the opportunity to bid on gorgeous baskets created by the members and to shop in the Boutique. The sum of this Home Tour goes for College Scholarships and Tech Trek, there is no administrative cost. The Scholarships are offered at Sonora Union High School District, Summerville High School and Columbia College. The amount earned determines the dollar value of the Scholarships on a yearly basis. For the past several years each high school has been given a two thousand dollar scholarship for a young woman entering a four year college or university and one additional scholarship of one thousand dollars for a student planning to attend Columbia College. There have been two scholarships to Columbia College students of two thousand dollars, one a student just completing her Associate Degree and moving onto a four year college, the second one goes to a returning student (one who has been delayed in completing their education by five or more years) and now after completing the Associate Degree is ready to attend a four year university or college. The application process is completed in early March of each year. After a committee of AAUW members reviews and prioritizes the applications the top group are offered a personal interview by the committee. From this meeting a candidate is selected and invited to attend our Annual Spring Luncheon to meet the members and to receive her award. 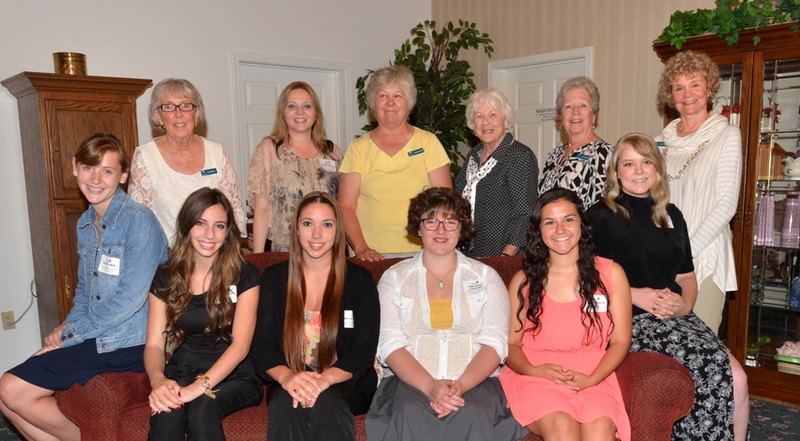 Back Row: Pat Dean, Shannon Lundeen-Kriuzer (recipient), Louise Steuben, Laulette Ginn, Celeste Boyd, Sue Osborn.